The Human Rights Campaign recognized early on that Corporate America was going to lead the charge for LGBTQ equality and as such needed a system to help provide these companies with specific goals and objectives. A pioneer in the LGBTQ equality movement, they have been getting corporations to pay attention to their LGBTQ customers and employees for almost 20 years through the use of their Corporate Equality Index (CEI), which is the source for their consumer based Buying for Workplace Equality Guide. Companies are asked to fill out a lengthy questionnaire that covers a wide range of topics – including their Equal Opportunity Employment policies and the availability of employee resource groups. HRC gives the company four-six months to complete the questionnaire. A company’s score can range from a perfect 100 down to a -25. The data is then compiled into the consumer version.  The guide is designed to help an LGBTQ person or ally make shopping decisions based on a company’s equal treatment of customers and employees. The guide is color coded with red, yellow and green. You can see clearly when you open the physical pocket guide or open the phone app, that green is a company you want to do business with versus red, which means steer clear. Companies who treat the community right and fairly, are rewarded with increased business. The LGBTQ community is one of the few communities who have such a powerful tool that guides their purchasing decisions. This is why being authentic and transparent is so incredibly important in your LGBTQ outreach efforts. Client: A publicly traded, Fortune company specializing in insurance. There are 16,000 employees in the US, Canada, UK and India. The Board of Directors is comprised of all-white, straight men. 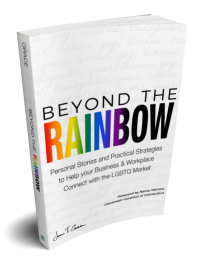 Challenge: The Strategic Markets team, which consists of seven employees out of 16,000, understood that in order to successfully, and authentically, do business with the LGBTQ market, they needed to significantly improve their CEI score. However, other key departments did not share the same sense of urgency. Approach: My approach was two-fold. First, I conducted a series of 12 focus groups with real estate agents, mortgage brokers and title reps from all over the country who are part of the LGBTQ community. Our conversations focused on one key question: What are you looking for in an insurance company as it relates to the LGBTQ community? The responses were compiled into an 80-page actionable report. Second, after an aggressive lobbying campaign by the Strategic Markets Team, I was retained by the company’s HR department. Over six months we worked on the CEI questionnaire. My goal was to take the organization from a 10 to a 60. However, I was surprised to learn that many of the policies required to receive a strong CEI score were already in place – just not officially documented. In cases where required policies, benefits or trainings did not exist, they were eager to implement them as quickly as possible or to craft a plan for ongoing implementation. Results: They received a CEI score of 90! What an incredible improvement! By officially implementing workplace protection policies, they are now protecting their approximately 500 LGBTQ employees – at a time when, in 29 states, it is still legal to be fired for being part of the LGBTQ community. In addition, they’ve been recognized nationally as one of Fortune’s Best Workplaces for Diversity, allowing the company to attract and retain top talent. If your corporation is looking to improve your CEI score, please email us today by clicking here.